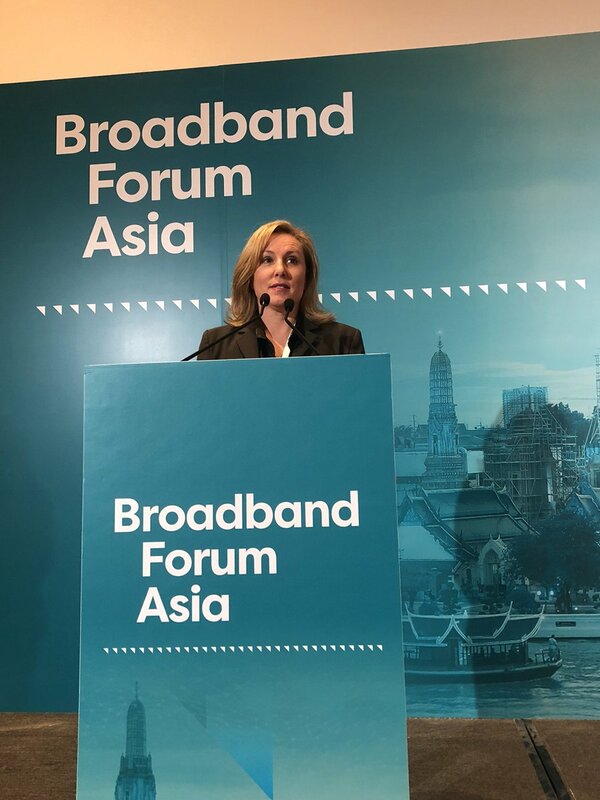 Nicole McCormick is Practice Leader of Ovum’s Broadband and Multiplay team focused on delivering an Asia Pacific outlook to coverage such as pricing strategies, LTE monetization strategies, telco innovation and mobile roaming. Nicole leads a global team of analysts which cover mobile and fixed broadband operator strategy. Also, her team play a key role in the forecast of leading Ovum data. She has over 20 years’ experience covering the Asia Pacific telecoms and television sectors; and is a regular presenter and moderator at industry conferences in the region. Ovum's new bundling forecasts estimate that subscriptions to next-generation bundles will make up almost 41% (356 million) of total bundled subscriptions by 2023. With 5G coming, how do operators charge if they already have cheap, "true" unlimited data plans? Mobile operators in China and Taiwan face a 5G pricing conundrum. They are not alone. The challenge is this: how to charge for 5G, when there are already cheap unlimited mobile data plans in the market? 5G will not initially result in tariff innovation, just "more of the same"
5G allows CSPs to provide more capacity at a lower cost; that is the heart of the 5G business case. But CSPs will still need to innovate around charging schemes with 5G, ensuring upsell is built in. In Australia, challenger MNOs Vodafone and TPG have agreed to merge. 5G is the main catalyst for the merger, as it was in the US with T-Mobile and Sprint. 5G's high cost and complexity and its uncertain business case will be the catalyst for more operator consolidation. Competition has never been tougher in the mobile and fixed broadband sectors in Asia-Pacific, and the big question for communications service providers in today’s market is how to survive the fierce competitive threat. The gigabit era has well and truly landed. The debate has moved beyond 1Gbps, 2Gbps and even 5Gbps services. Fixed broadband front-runners, including in Japan, Hong Kong and Singapore, have already deployed 10Gbps services. Ovum data shows that 29 operators have either deployed or have announcement deployment plans for 10Gbps services. Of these, 12 are in commercial operation. The Australian MVNO market is about to get a whole lot more competitive. MNOs are competing more aggressively in the MVNO segment, and things will get even hotter with the launch of Australia’s fourth mobile operator, TPG, in 2018. This has implications for wholesalers and existing MVNOs. For wholesalers, they need to "co-create" alongside their MVNO customers to ensure a competitive edge against new players coming to market. For MVNOs, they need to remain agile, stay cost-focused, and collaborate on tariff innovation. Multiple investors have purchased a 35.2% stake in China's second-largest operator, China Unicom, for CYN61.7bn ($9.3bn). No single internet player – such as Tencent, Baidu, or Alibaba – has emerged with more than a 5% interest, limiting potential collaboration opportunities. Differentiation in telecommunications is difficult to do, especially in the competitive vendor space. But the “new Nokia” reckons it has a key differentiating factor in its arsenal – quality of service and improving the end-user experience. The company told analysts in Hanoi this month that the quality of both its products and services is fundamental. We are proponents of Nokia’s push for quality – we think it helps the company stand out. MWC Shanghai might be the “little sister” to MWC in Barcelona, but what it lacks in scale, it could make up for insightfulness. MWC Shanghai is approaching (June 28 to July 1), and while it will host a bunch of experimental stuff, it’s the breakout sessions of the conference that we are most excited about. Video is the engine for revenue growth. So claimed Huawei’s rotating CEO, Eric Xu, at the 2017 Huawei Analyst Summit in April in Shenzhen, China. But first you have to convince consumers to pay for it on a standalone basis, and well, we all know how that story goes – that’s incredibly challenging. Therefore, video needs to be offered as part of all bundles if it hopes to become as pervasive as voice services. Australia’s second largest fixed broadband operator and MVNO TPG has secured 700MHz spectrum, topping up its 2.5GHz and 1800MHz spectrum holdings. The firm has set an ambitious target for 80% population coverage by 2018. We expected TPG to bid for the unsold 700MHz spectrum that was passed in at auction in 2013. It acquired 2x10MHz for A$1.26bn (including spectrum costs). But long term, Australia is unlikely to be able to sustain four operators. TPG’s move into mobile has delayed the inevitability of consolidation. The US market's return to unlimited data has the rest of the globe’s operators spooked. The US is the anomaly, and we urge operators to keep the ultracompetitive US market situation in context when thinking tariff strategy. When the corporate strategy boss at a leading Chinese operator (which shall not be named) tells you that it is not having much success with its value-added services strategy, you know much smaller digital service providers are in trouble.